Healthcare providers can sign up for our American Heart Association Basic Life Support (BLS) Class for Healthcare Providers class or renew a previous certification. Those interested in learning lifesaving skills to help coworkers, family or friends can sign up for our American Heart Association First Aid, CPR and AED class or renew a previous certification. BLS for Healthcare Providers The BLS for Healthcare Providers course covers core material such as adult and pediatric CPR (including two-rescuer scenarios and use of the bag mask), foreign-body airway obstruction, and automated external defibrillator. For healthcare providers such as EMS personnel, physician assistants, doctors, nurses, and respiratory therapists who must have a credential (card) documenting successful completion of a CPR course. The Heartsaver First Aid course teaches how to manage illness and injuries in the first few minutes until professional help arrives. Course content includes General Principals, Medical Emergencies, and Injury Emergencies. Additional topics include CPR and AED, and Environmental Emergencies. Each class is limited to 9 students. Forms of payment may be in check, cash or university index and fund number. We do not have the means for credit card payment. Parking on campus requires permit unless specifically marked. Please park in lot 99; this lot is a free lot to all visitors and employees. 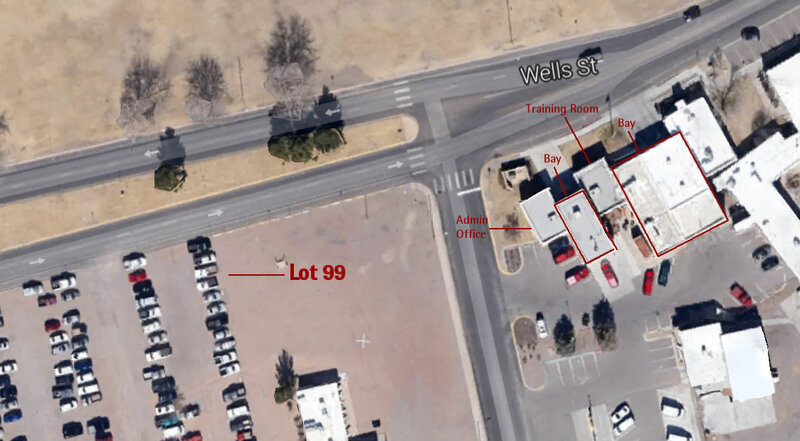 NMSU Fire Department is east of the parking lot 99 toward “A” mountain. Click here for map. Each class starts at 8:30 AM and concludes around 3:00 PM. Ending class times will vary on class size, emergency responses, and remedial training needed. Due to unknown factors, classes may go over end time. Those who attend class are encouraged to wear comfortable attire, the majority of the instruction will occur on the floor next to a CPR mannequin. The fee for Heartsaver First Aid, CPR, and AED or BLS for Healthcare Providers is $40. Please call our office at 575-646-2519 during normal business hours to register.